An allegedly intoxicated motorist led police on a road chase from Carlsbad to Oceanside Thursday before she crashed the rental car she was driving and was taken into custody. 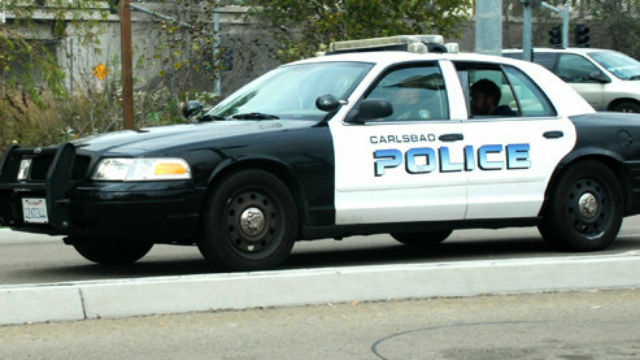 A patrol officer tried to pull over the woman on Poinsettia Lane for a traffic violation about 7:30 a.m., according to Carlsbad police. The motorist — later identified as 26-year-old Sonya Labastida of San Diego — failed to yield and entered nearby Interstate 5, Lt. Kevin Lehan said. After fleeing to the north for about seven miles, the driver exited at Oceanside Boulevard and continued on to the west, then north on South Coast Highway. Reaching Mission Avenue, the rented 2016 Nissan Sentra caromed off another vehicle and crashed to a halt against a building on the northwest corner of the intersection, Lehan said. Officers arrested Labastida on suspicion of evading arrest, driving under the influence of a controlled substance and being in possession of stolen property. Medics took her to a hospital for evaluation of complaints of pain, the lieutenant said. Two women who had been riding in the Sentra were detained for questioning.